We are finding that more and more parts are becoming available for the 1971-73 model Mustangs. Here is one of the latest. 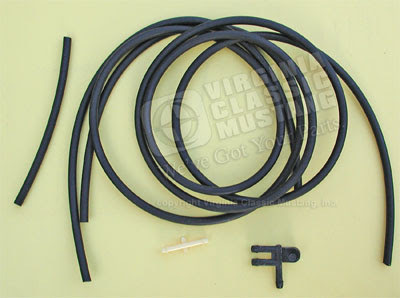 It is the Windshield Washer Hose and Tee Kit. It features the tee and the unique tee/plastic fitting that is difficult to find. It is now in stock-part number is EG3021.